Designers no longer have to concern themselves with preview resolution settings and screen performance. Adaptive Resolution in QuarkXPress means the graphics are rendered in real time in the highest required resolution to match image zoom, crop and position. Text stays as text and vectors stay as vectors with no more low-resolution previews. 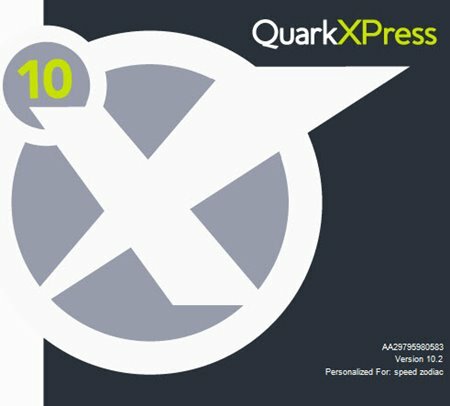 The Xenon graphics engine in QuarkXPress 10 has been engineered from the ground up to leverage the latest in processor technology. It utilises the dedicated vector processors within each core of your hardware and supports multi-threading, SSE3 and Advanced Vector Extensions (AVX), so you can be confident in world-class graphics performance. Graphics look stunning in QuarkXPress 10 thanks to a native and deep understanding of image and vector files. Pan and zoom to see graphics come to life. QuarkXPress 10 natively understands every aspect of placed PDFs within a layout. This includes fonts, vectors, colour spaces, layers, transparency, blends, and gradients. Rather than working with low-res PDF previews, PDFs are dynamically mapped to the Xenon object model and rendered in real-time. Not only does everything from text to radial blends look crisper, it outputs faster too. Control layers, blend modes, colour channels and clipping paths for placed Photoshop, TIFF* and PDF files all without leaving QuarkXPress using the new Advanced Image Control Palette.